Columbia Center for Psychiatry (Washington) - Book Appointment Online! 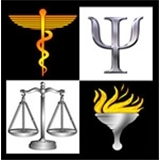 The Columbia Center for Psychiatry provides a full range of psychiatric treatment to individuals in the Washington, DC metropolitan area. Established in 1972, the mission of the Columbia Center for Psychiatry is to provide quality state-of-the-art mental health services in a comfortable therapeutic environment. We are committed to providing our patients with quality effective psychiatric care. We provide integrated psychotherapy services under the direction of a Board Certified Psychiatrist. We treat patients who are experiencing distressing symptoms due to problems with their mood, difficulty thinking, poor concentration and difficulty focusing, or having problems in their personal relationships or occupational functioning. Dr. Fischer does accept insurances, but is not in network.